What? No red wine? No kale? Still, it's an impressive collection of antioxidant foods, and it doesn't taste half bad either. 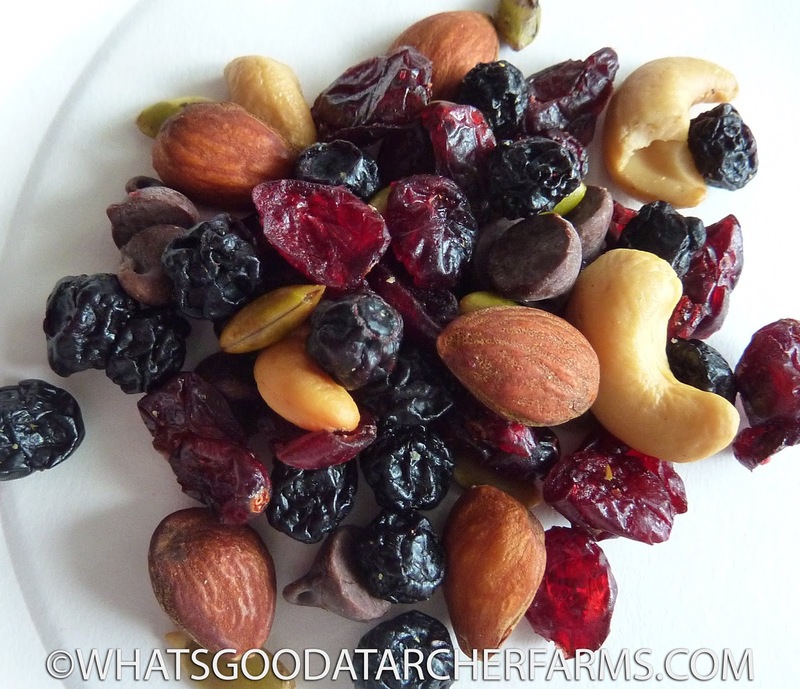 Nuts, berries, and dark chocolate might be found in any run-of-the-mill trail mixes, but they also happen to be antioxidant rich. It might be a marketing gimmick, but hey, it worked on me. There's a good balance of nutty and sweet in here. As usual, there are too many pumpkin seeds, er sorry, "pepitas," but we can forgive this product for that, since there are plenty of almonds and cashews, too. Honestly, it's a decent mix of all the ingredients. They didn't skimp on any one element. For six bucks, I'd hope they would be generous with everything. The mix is unsalted. I wouldn't have minded a little sodium, but I won't complain too much since I get plenty in the rest of my diet. 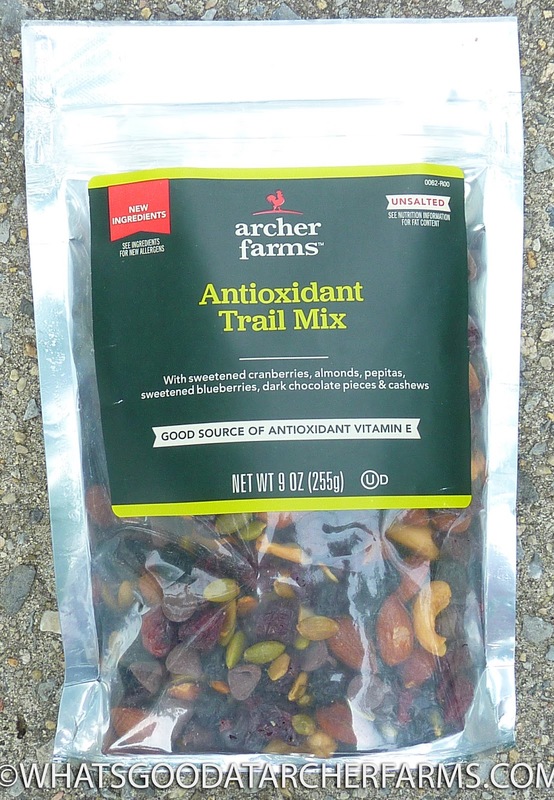 I just tend to eat trail mixes when I'm hiking or biking, and in the hot summer, I tend to sweat buckets. I drink plenty of water, but I've gotta recoup that salt somewhere, too. 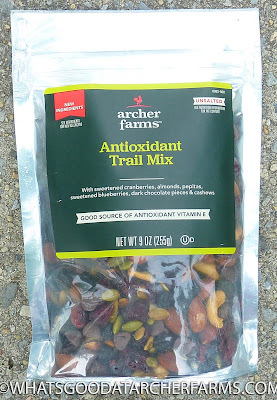 Anyway, it's been a while since I've reviewed an Archer Farms trail mix. They've always been good quality. The resealable bags are nice, too. This particular mix is on par with the others I've tried in the past. Six servings seems about right. I guess a dollar per serving isn't a terrible value. 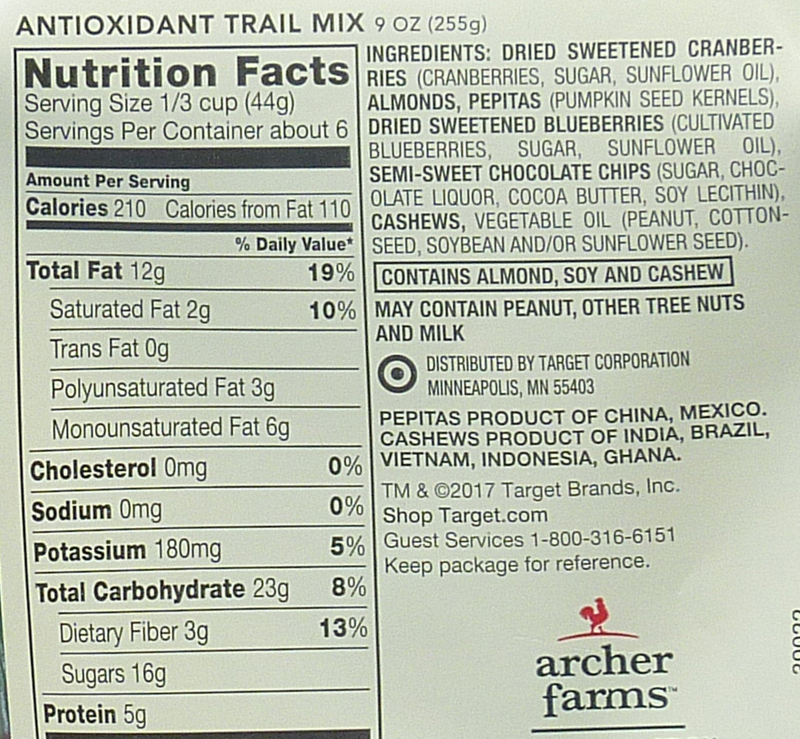 The ingredients taste and feel as fresh as any other shelf-stable snack. The wife really liked it as well. I'd definitely consider buying it again. 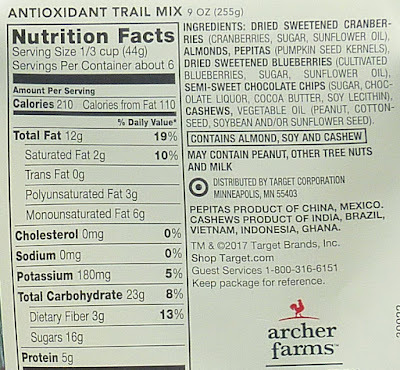 I give this trail mix 8 out of 10 stars.